Smart mirrors are nothing new. We have covered a bunch of them that can keep you updated with the latest news and help you apply makeup like a pro. JUNO is another smart mirror with a light for makeup, selfies, and even reading. The mirror comes preloaded with various settings and pairs to your iPhone or Android device. The companion app lets you adjust the mirror’s light how you like and save your favorite settings. 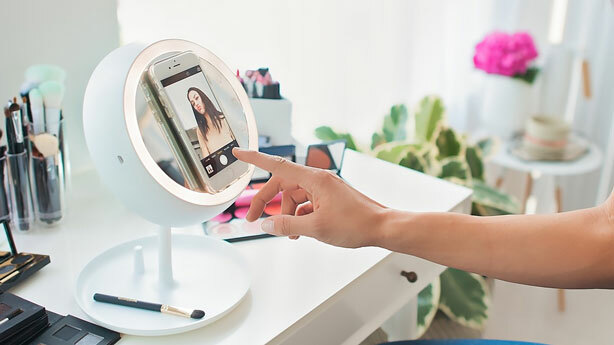 The mirror features auto-sensing thanks to Bluetooth. It is expected to ship early next year.